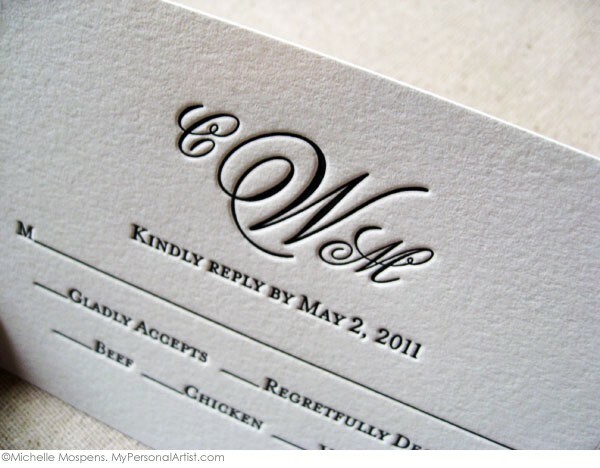 One of the many questions I get asked as a custom invitation designer is, “What wording should I use for the reply card?” There are many options you can use to personalize your response card. 3. 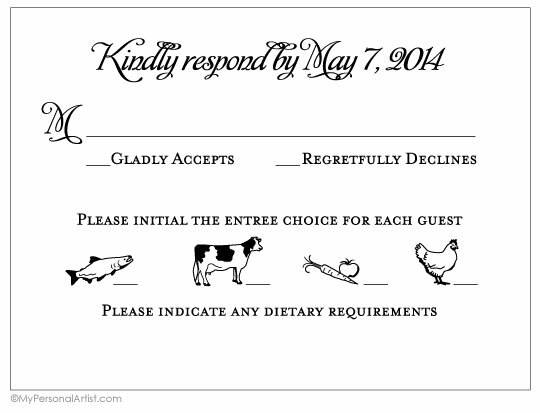 The third line on a reply card requests your guests’ response if they will attend your wedding or not. Most of the time you will give your guests an area to check off. 4. Sometimes you will need to know what food choice your guests prefer. Be sure to ask your caterer if they need a head count for food and what date they need the final count by. or our fun entrée motifs! 5. You will want to address the reply card envelope with the name(s) and address of the person who needs to keep track of the head count. This may be the bride, groom, family member, or wedding planner. Questions? Feel free to ask me! Oh my goooodness! I just adore this wedding engagement photo by fabulous photographer Sheena Jibson! Perfect. Ahhhh… the perfect place. On a still lake smooth as ice, just embracing life and love. Perfection! Today, I have a very special beach wedding ideas, inspiration, and advice post with the help of my friends at Paradiso Weddings. Their photo below, caught my attention immediately. The ocean is breath taking! The pop of aqua blue and splash of red is fun and still elegant! 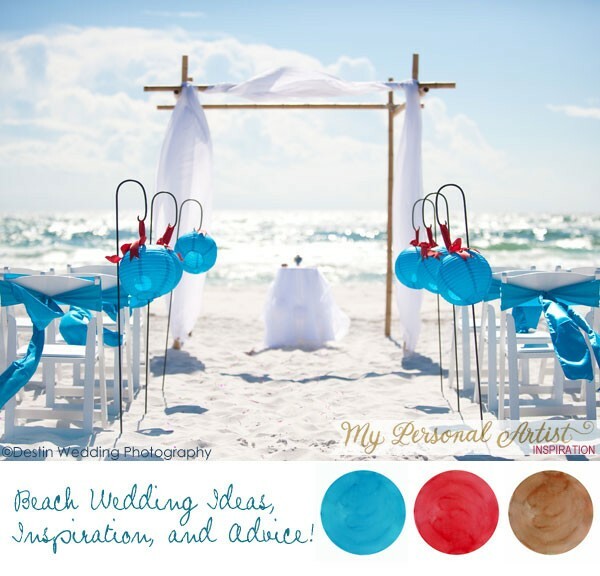 I created the inspiration board for you below, featuring a lovely blue Melissa Sweet Bridesmaid gown (Style MS215) and our popular beach wedding invitations in a box. Q. What colors work best for a beach wedding? A. Express yourself! Florida’s Emerald Coast is considered to have some of the most beautiful beaches in the world. Our amazing turquoise water, sugar white sand and clear blue skies make a perfect backdrop for just about any color combination. Vivid tropicals like red, orange, and yellow are always popular, as is turquoise and coral. Pink and orange with green and shades of blue with white or cream are favorites. Most brides have some idea of colors they like and shouldn’t be afraid to experiment with combinations for their beach wedding. 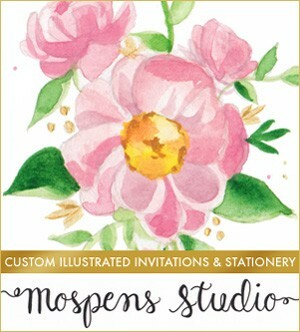 Of course, we recommend My Personal Artist for the latest trends in wedding colors and beach wedding invitations! Q. What months are best for beach weddings? A. In our area the busiest months for weddings are April, May, June, September and October. The weather is great and the beaches are not as crowded as in July and August. It’s not unusual, though, to see beach weddings happening every month of the year on the Emerald Coast. Q. Veil or no veil? A. A pretty veil flowing in the sea breeze is lovely but to be honest it can be a source of frustration. A long veil can get caught on a wooden boardwalk or handrail during the processional. If it’s a windy day a veil can be hard to manage during the ceremony. Flowers and fascinators are very popular here! Q. Why not just do a DIY beach wedding? A. Having been involved in a lot of weddings in a lot of different capacities we have seen just about everything. More often than not, there is disappointment with a DIY beach wedding. There are lots of ways that you and your family and friends can express yourselves with the reception decor. Leave the hard work in the heat, sun, and humidity to us! That way you and everyone involved can relax and enjoy the special day and won’t be hot, exhausted, or even worse, running late and missing the sunset colors! Paradiso Weddings offer intimate all-inclusive beach wedding ceremonies from Panama City Beach to Pensacola, including the Destin area and all along 30A. Contact them today for the perfect destin beach weddings experience! Today, I am reflecting on my past. 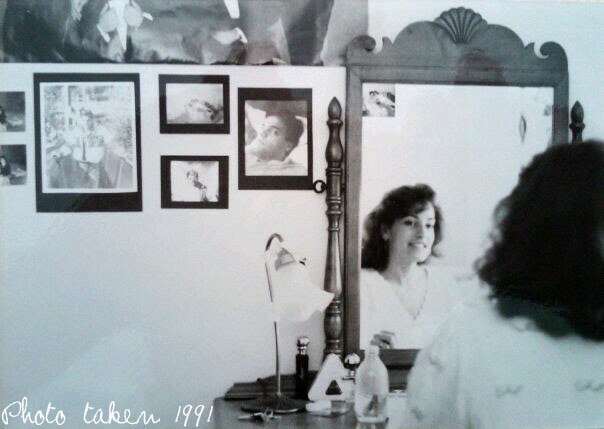 In 1991, I was a 20-year-old young lady at art college in Pittsburgh, Pennsylvania studying graphic design, photography, advertising, marketing, art history, watercolor, fine art, and more. One day, while taking a break back in my home state of Ohio, I was hand painting lettering of services on a dry cleaner’s window to make some money. I had to stand on top of the counter painting the large windows most of the day. Suddenly, a 21-year-old man with gorgeous jet black hair walked by the window. He immediately CAUGHT my eye. I asked my boss about him and he said funny! James asked about YOU also. Woweee! So, the young man walked into the cleaners and stood there talking to me while I painted and painted … and painted for the rest of the day. When I had to go back to college, James flew out to see me. Every weekend, he would drive from Ohio to Pittsburgh to take me on dates in the city, for walks in Point State Park and on Mount Washington. 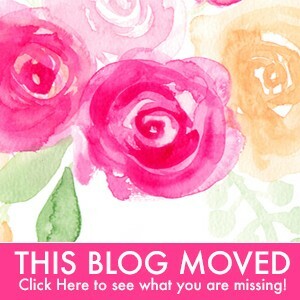 Find Out My Top Wedding Color Picks! 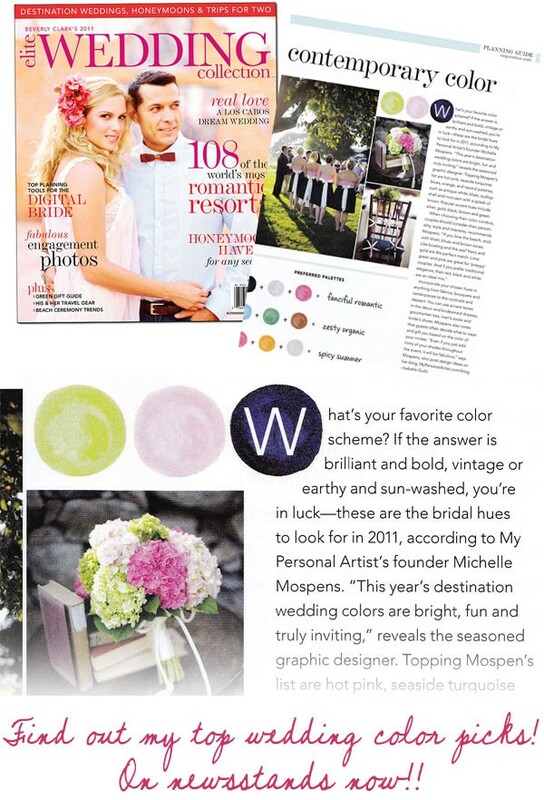 I am so excited to see my top wedding color picks in Beverly Clark’sÂ Elite Wedding Collection Magazine. I always enjoy working with them! They requested my wedding color opinions based on the wedding couples I work with and the several months of research I do on wedding colors. Also, I hand painted in watercolor the fun spot color illustrations per their request. So much fun! Now go out and pick upÂ Beverly Clark’sÂ Elite Wedding Collection Magazine and see what my top wedding color picks are!